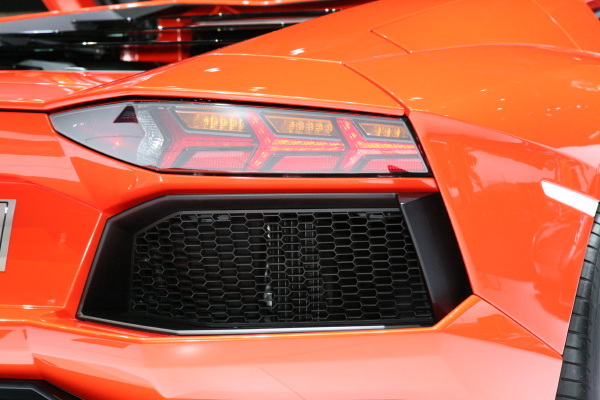 After months of speculation, Lamborghini’s CEO Stephan Winkelman finally took the wraps of the latest supercar to wear the raging bull logo, the Aventador. 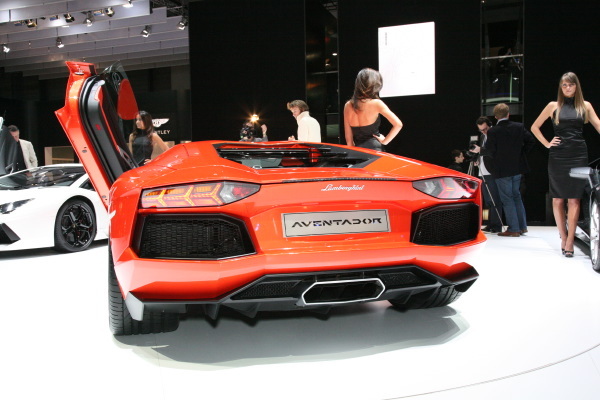 Replacing the earlier 12 cylinder Murciélago the new Aventador shows styling cues from a number of recent Lambo concept cars, most notably the angular Reventon. 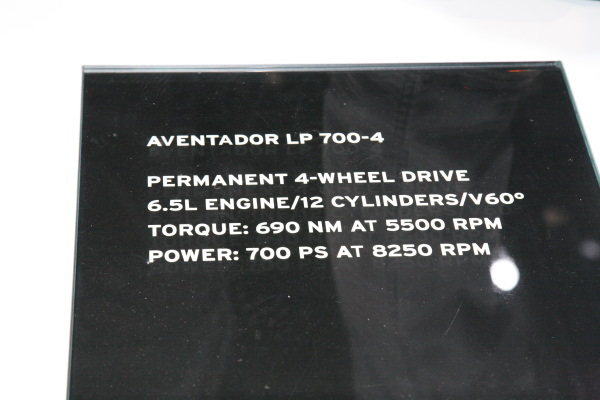 Officially known at the 700LP-4, the coding reveals a 700 HP rear engined 4 wheel drive, the Aventador is a large car. 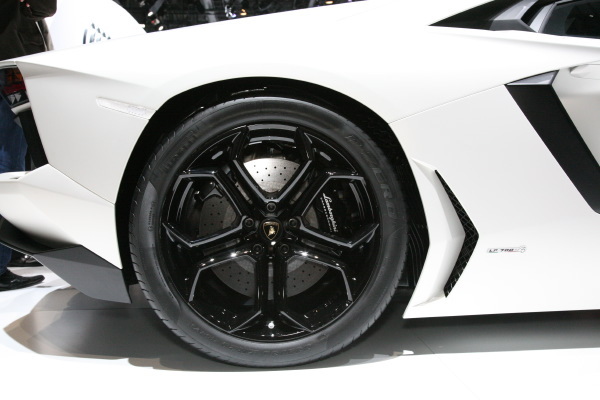 Over 6.5 inches longer yet slightly narrower than the Murciélago it replaces, the Aventador tips the scales at an impressively scant 1575 kg. Scant considering it includes an all-wheel-drive system, all new 7 speed dual clutch gearbox and al the creature comforts you would assume come along with a car destined to cost more than $300,000. Using state of the art carbon fibre construction, developed with Boeing Aircraft, the one piece monocoque weighs 147.5 kgs. 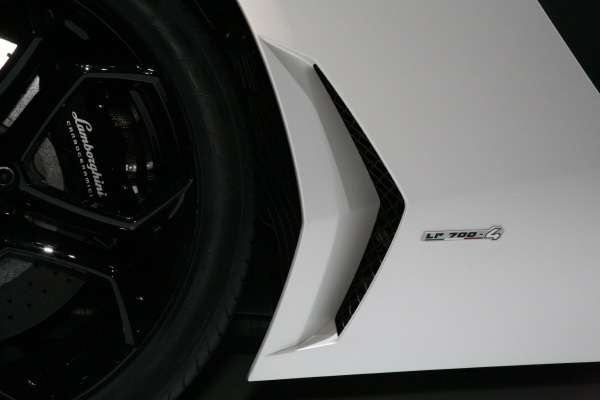 The rear exterior panels are also carbon fbre while for balance purposes, the front panels are lightweight aluminum. 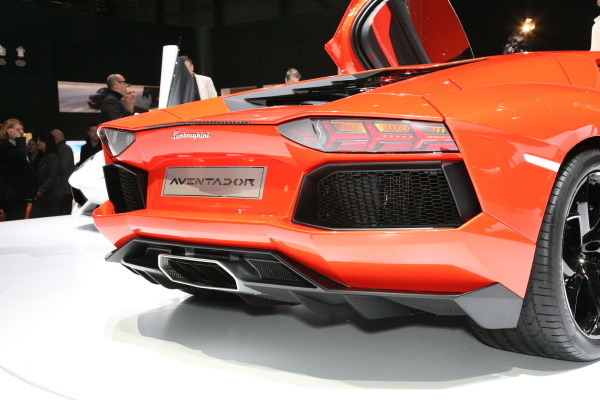 The 700 HP thrust out of the all-new V12 alloy engine gives the Aventador an impressive power to weight ratio of 2.25 kg/HP. This is an impressive number and certainly places it at the forefront of other sports cars in this class. 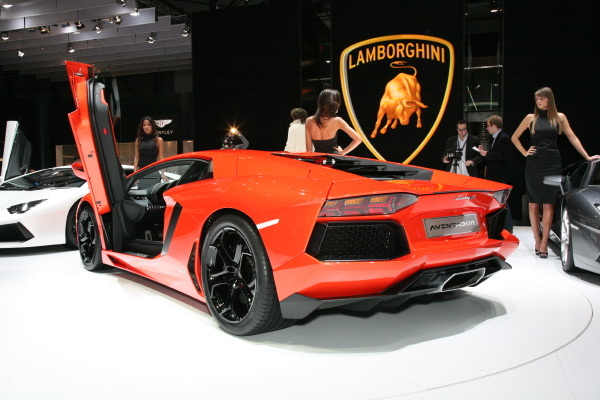 Zero to 100 kms/hr comes up in a mere 2.9 seconds with a top speed of 350 kms/hr. 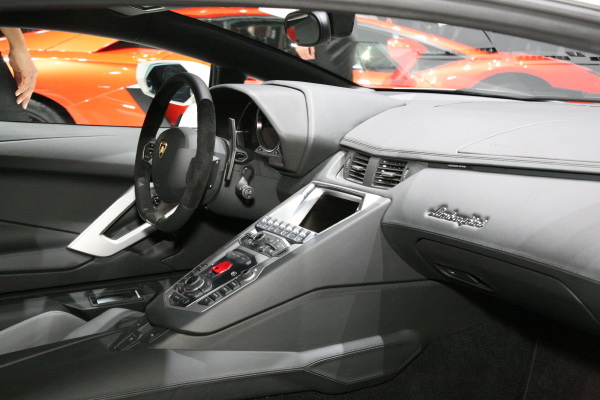 Enjoy the photo gallery and look for our complete run down on this impressive vehicle in the days to come. 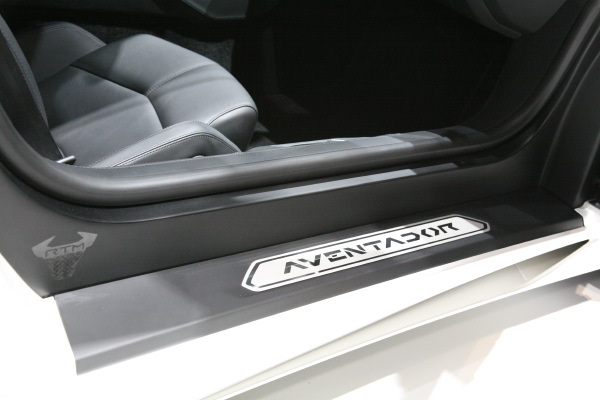 We were able to visit the Lamborghini factory just days before the official unveiling at the Geneva Motor Show and were given a rare chance to see the behinds the scenes processes required to assemble the exquisite composite body of the Aventador.